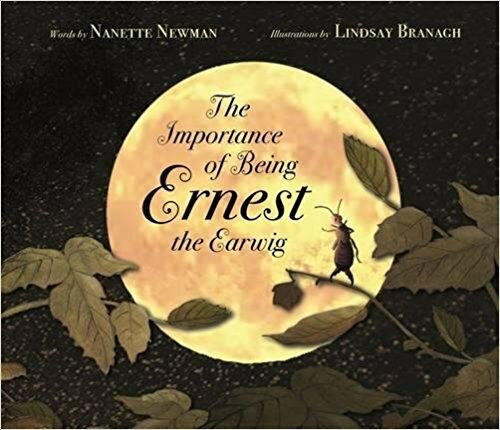 The Importance of Being Ernest the Earwig is an excellent story that will inspire children young and old about reading and introduce an interest in classical literature. The story hinges around Ernest the Earwig who wants to find a story about earwigs and can't understand why no stories ever have earwigs in them. Ernest and his friend Edward discuss how there are many nursery rhymes about animals but never earwigs and spend time putting lots of earwigs into classic rhymes. Unsatisfied by this, he sets out to search for books contains earwigs. He takes himself to a book shop where he explores all of the children's literature books - taking himself right inside the stories. I loved that the author uses styles of illustrations from original publications of stories such as Wind in the willows, Cinderella and Treasure island to help to really give the impression of Earnest being part of these classic tales. The beautiful illustrations add hugely to this book and are a great talking point throughout the story. Through his adventures, Ernest realises by reading the stories he has got himself into every one and comes away from the shop feeling like Earwigs are in every title.